Historical Marker #2396 commemorates the Shelby Park Neighborhood, one of the areas in Louisville that was originally populated by German immigrants. This area of the city received one of the later waves of immigrants. In 1847, the upper third of Shelby Park between Kentucky and Oak Streets was originally subdivided by hardware merchant John Rust. As late as 1876, however, large lots remained undivided. This area has the oldest residences in the neighborhood. The lower third of the neighborhood was subdivided in the 1870s by Peter J. Maret and R. A. Robinson. The central core of the neighborhood was subdivided in 1894 by M. G. B. Caldwell and her sister, Mary B. Caldwell von Zedwitz. The major residential development began in the 1880s and gained momentum in the next decade. Shelby Park was created between 1907 and 1909 and is bounded by Oak on the north, Camp on the south, Jackson on the west, and Clay on the east. The land was purchased by the Board of Park Commissioners. Mayor Barth strongly favored the creation of the park and hoped a Carnegie library could be included in the project. In 1907, he personally bought and held 11.4 acres until the Board of Park Commissioners was ready to act. In 1908, the City of Louisville added 4.2 acres and an additional acre was added by two families, making Shelby Park just over seventeen acres. Two major institutions anchor the core of the neighborhood. 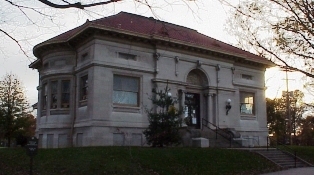 In 1911, the Second Renaissance Revival, Carnegie-endowed, Shelby Park Branch Library was constructed on Oak in the park. The symmetrical building is sheathed in smooth-coursed limestone and was designed by one of Louisville's most important architects, Arthur Loomis. The St. Vincent de Paul Church parish was established in 1879 at the intersection of Oak and Shelby Streets, one block east of Shelby Park. The current Gothic Revival structure was constructed in 1886 and a new façade added in 1927. Across the street from the church is the neo-Classical, St. Vincent de Paul School and the St. Ursala Convent. The oldest structures in the neighborhood consist of two-story, brick Italianate dwellings and shotguns of the same style, primarily along Oak, St. Catherine, and Kentucky Streets. Two story frame houses with classical details as well as one-story cottages and bungalows face Oak and Camp Streets. 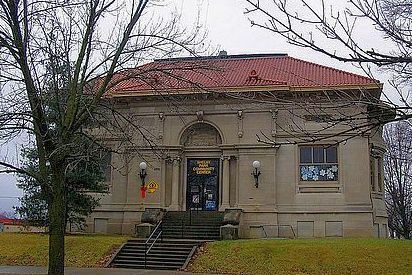 Carnegie Library: Carnegie Library in Shelby Park. Shelby Park: Pavillion in Shelby Park. 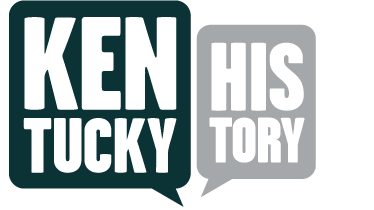 Becky Riddle, “Shelby Park Neighborhood,” ExploreKYHistory, accessed April 19, 2019, https://explorekyhistory.ky.gov/items/show/286.